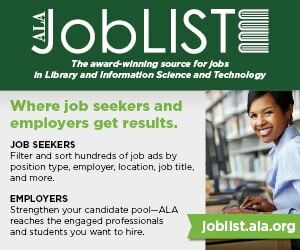 The ALA JobLIST Placement and Career Development Center will offer complimentary career counseling sessions February 10–11 during the 2018 ALA Midwinter Meeting in Denver. Career development coach Caitlin Williams works with individuals and organizations to create and implement professional development initiatives. Advance registration is encouraged, as appointments go fast. We will also accept walk-ins if there are available appointments. ALA Publishing eLearning Solutions will host a new iteration of its four-week facilitated eCourse, “Demystifying Copyright: How to Educate Your Staff and Community” with Lesley Ellen Harris as instructor, starting on January 22. Harris, an intellectual property attorney who has trained libraries, museums, and corporations in copyright, will guide you step-by-step through developing a copyright education program for your staff and community. Registration is through the ALA Store. ALA Publishing eLearning Solutions will host a new iteration of its 60-minute workshop, “Level Up Your Library to Content Marketing” with Laura Solomon on January 17. Solomon will introduce you to the nitty-gritty of content marketing by teaching you how to create a content strategy and how to implement it. Registration is through the ALA Store. One often overlooked aspect of making and makerspaces is its potential for empowerment, especially among populations that are marginalized or underrepresented. 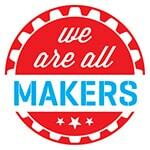 “Diversity, Inclusion, and Empowerment in Library Makerspaces,” a 90-minute webinar presented by LITA on December 6 with instructors Sharona Ginsberg and Lauren Di Monte, will discuss what libraries can do to ensure their makerspaces are safe spaces of diversity, inclusion, and accessibility. Hurricanes Irma and Maria devastated much of the Caribbean, and libraries were not spared. In addition to its fundraising efforts, ALA is partnering with Reforma in an Adopt a Library Program to bring together damaged libraries in the region with libraries in the US and elsewhere that would like to assist in their recovery. Adopting libraries and organizations can help through fundraising, donating books, offering supplies and equipment, and providing advice and volunteers. In early November, Maricopa County’s Southeast Regional Library in Gilbert canceled a drag queen storytime event. Almost immediately, significant controversy ensued. A library professional who helped plan the canceled event has resigned. A drag queen scheduled to participate in the reading as part of the annual LibraryCon has gathered more than 1,100 signatures from people who want the storytime reinstated. Another library has offered to host the storytime instead. And ALA weighed in. How is the second iteration of the Every Child Ready to Read initiative being applied and approached in public libraries? The answer can be found in a November 17 report, Bringing Literacy Home: An Evaluation of the Every Child Ready to Read Program. The report is a joint effort of ALSC and PLA, and was compiled by lead researcher Susan B. Neuman. American Libraries spoke to Neuman about the roles and challenges of librarians and caregivers in making sure every child is ready to read. A pilot project for a single card that can be used in any library in Scotland was launched November 17 by Scottish Culture Secretary Fiona Hyslop. The pilot will be rolled out throughout the country if successful. One Card aims to encourage greater access to libraries by removing barriers between services and gives access to more than 120 libraries and 1.6 million books. It will run for six months across the Aberdeen, Aberdeenshire, Angus, Highland, and Perth and Kinross council areas. 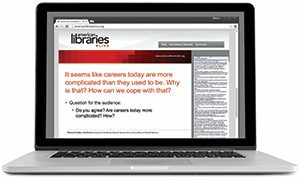 ACRL Keeping Up With..., Nov. The new Tianjin Binhai Library in Tianjin, China, has been making the rounds on social media for its incredible white floor-to-ceiling bookshelves and all-around gorgeous interior design. But upon closer inspection, you can tell the rows and rows of books in the library’s main hall are actually printed designs. According to the Deputy Director Liu Xiufeng, the library has other rooms in which there are traditional books on bookshelves, but authorities did not allow Binhai to put books in the main hall.